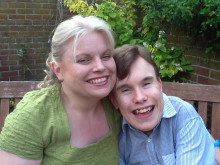 Mum Sue with son Nathan at the charity ball. A charity ball which was held to celebrate a young Colchester man’s 21st birthday has raised £5,281.47 for three charities which have supported him throughout his life. 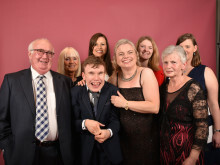 Nathan Cain, from Colchester, turned 21 last month and to celebrate the milestone his Mum, Sue, organised ‘Nathan’s Extravaganza’ charity ball at Le Talbooth, Dedham, to thank The Sick Children’s Trust, The J’s Hospice and the David Randall Foundation for their support over the years. “Nathan and I were absolutely delighted with how many people came along to celebrate his birthday and to support three charities close to our hearts. The evening was a great night, filled with delicious food, sunshine and lots of laughter. “Everyone showed so much generosity with the raffle and the auction which really made a difference to the final total raised. “Nathan had so much fun and enjoyed a couple of glasses of Prosecco. Once the evening was over, we finally went to bed around 3am, and by 6:30am he was raring to go! He received a lovely signed photo and birthday card from The Sick Children’s Trust’s ambassador, Chris Tarrant, who is Nathan’s hero and he was over the moon. “It was wonderful meeting Sue and Nathan along with all their family and friends at Nathan’s Extravaganza. Sue put so much hard work into making the night a success for three charities and ensuring Nathan saw in his 21st birthday in style! Sue Cain is organising her second charity ball in aid of The Sick Children's Trust and two other charities close to her heart. 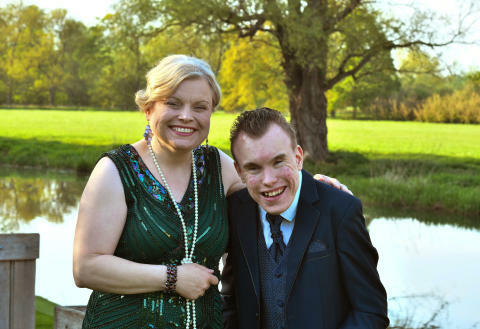 Suzan Cain stayed at Acorn House last year when her son, Nathan, went in for surgery and has decided to host a charity ball to say thanks to us and two other charities for their support. 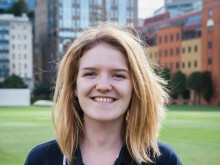 After hosting her first charity ball, Suzan raised an incredible £6,00 for The Sick Children's Trust, The J's Hospice and Addenbrooke's Charitable Trust.